Election Day 2017: The best is yet to come! 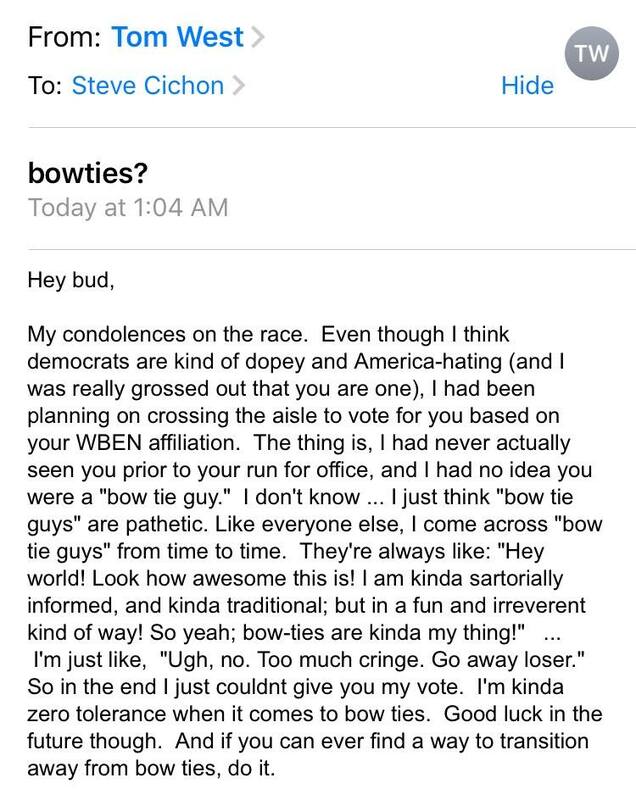 The one good thing about no longer running for office is…. I can be snarky whenever snarky is called for. 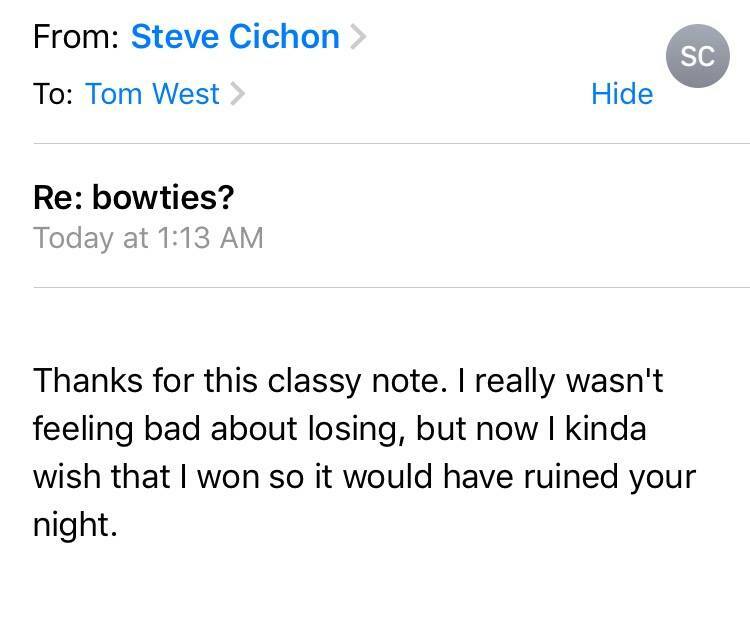 Here’s an email I received tonight, and responded to appropriately. Thank you everyone for your amazing love and support! 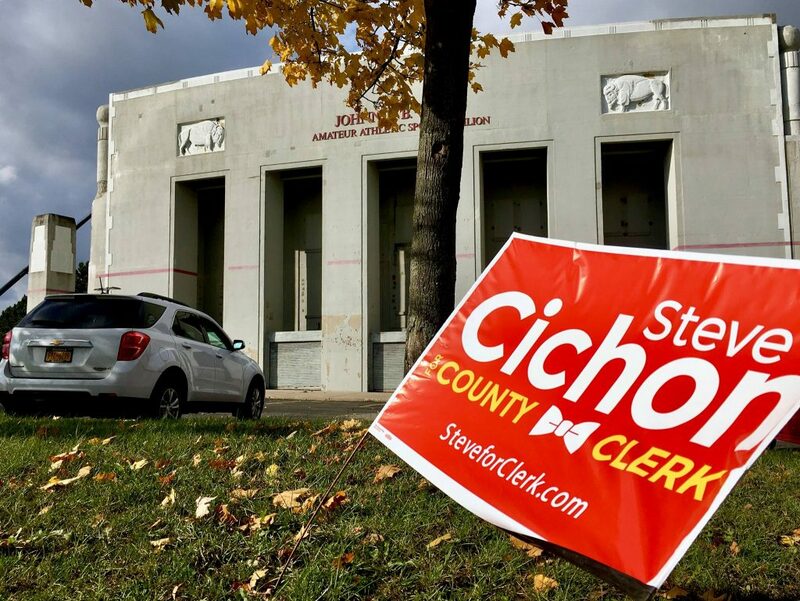 I love this photo– captured by the great Derek Gee of The News– because it really says everything I want to say about running for office, the race Team Cichon ran, and even the results. Since jumping into this race in March, I’ve been enriched in friendships new and lifelong…and the process has pushed me to rededicate my intense desire to make the world a better place by serving the greater humanity and the marginalized who need help being heard. The results aren’t exactly what any of us wanted– But my head is held high and my heart is full today. We left it all out there, and are ready for whatever else good is coming down the way. 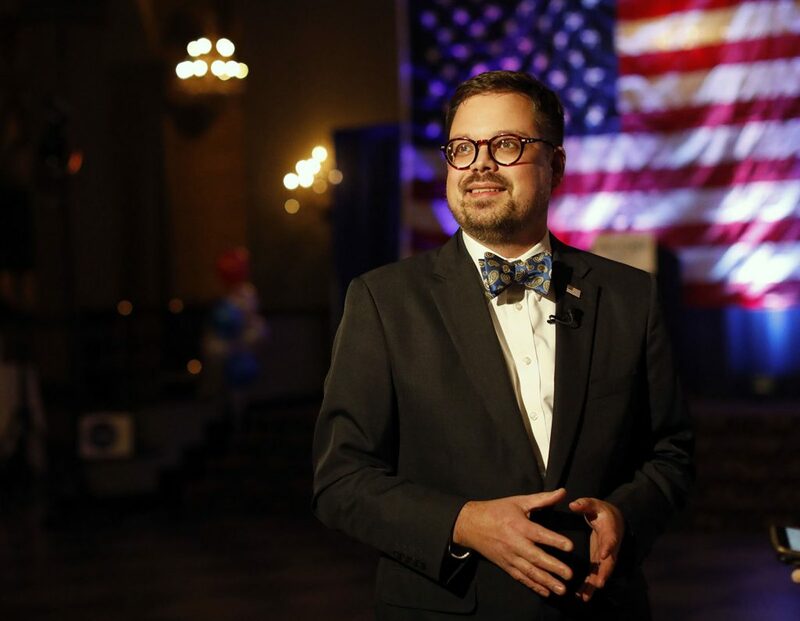 Breaking news– the election didn’t turn out the way we worked for… but the good news is, no matter what is to come, it comes with the best most supportive partner imaginable. 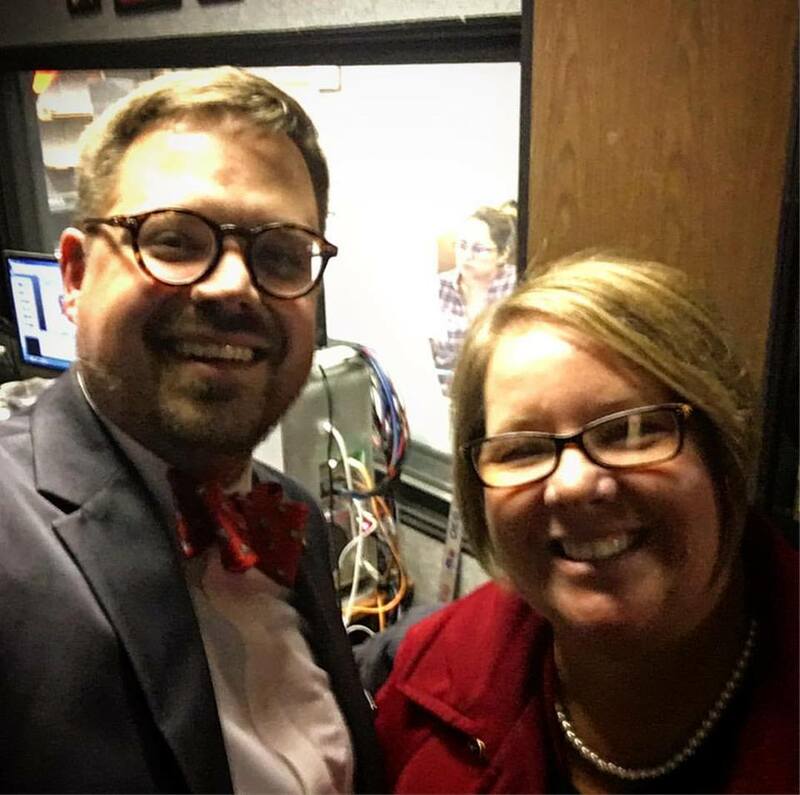 Monica and I got to swing by the Channel 4 studios yesterday, and stop in the room that used to be WBEN Radio’s control room— the exact place where we met as co-workers 24 years ago. As I tell anyone who’ll listen, my wife is the brains of the operation, and the person who makes be better everyday. Thanks Sweetie Pie!! Drove around today, filling my trunk with Cichon signs plucked from various places around town, including a few that were out in front of the former War Memorial Stadium… where Gramps was a ticket taker for 40 years and where my ol’man took us to Bisons games. My fondest five-year-old memories of the place are of the big metal troughs in the men’s room instead of urinals. In perhaps my greatest “get off my lawn” moment ever, I was chatting with four friends who I worked with during this election season. 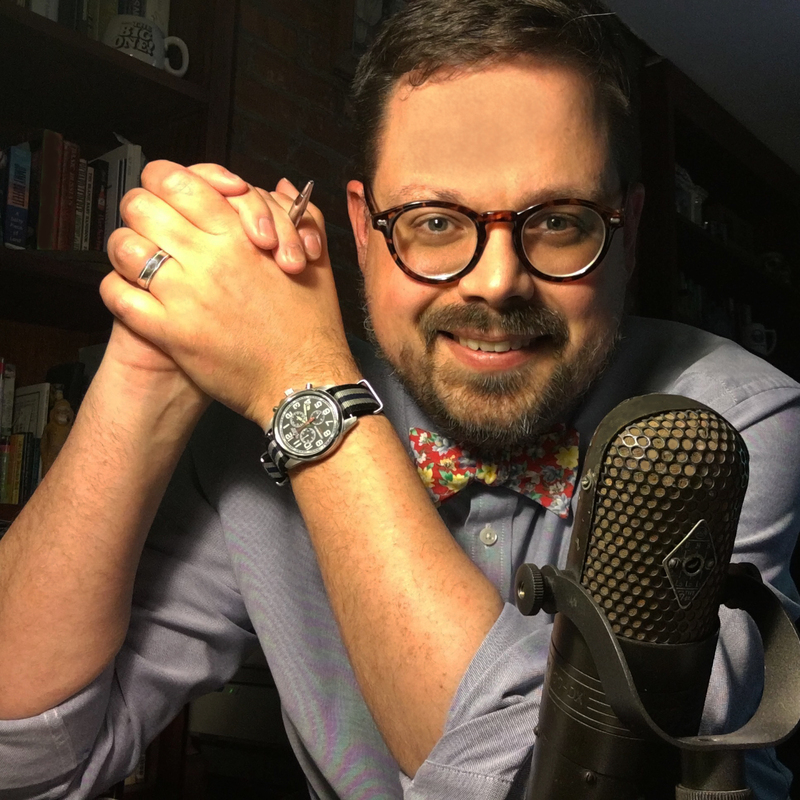 I was wearing this ensemble from my “putting the outdoor furniture away” collection, and someone mentioned it was strange seeing me not wearing a bow tie. 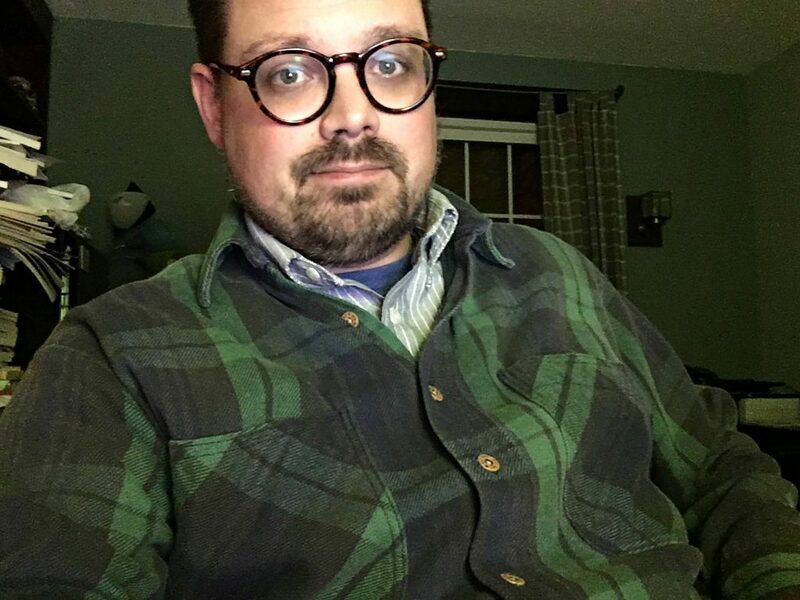 As I looked down at this plaid work shirt, I gloriously realized that it was purchased when I was in middle school in either 1989 or 1990 and was (quite a bit) older than all four of these friends. I proudly shared with them that bit of trivia, and enjoyed it way too much. Now stay off my lawn. I’m mostly fine with “not being a kid anymore.” Occasionally, things pop up I’m not ready for. But even then I’m fine… usually. For all you kids out there, I want to warn you about a pop culture throat-punch I didn’t see coming. He’s a professional in his early 20s, a big hockey fan, and when somehow it became hilariously appropriate for me to say, in a French accent, “Murph, you are exactly three inches tall,” nothin’ from this guy. The Gretzky mention was key. Any Gretzky mention lends gravitas to any statement. With a wincing I-think-you’re-crazy look coming back, I thought maybe now was the time to bail on the Bubble Boys, and just mention the time I sat next to Gretzky on the bench during practice at Marine Midland Arena for a few minutes. “Yeah, I didn’t start watching hockey until I was 12,” he says nonchalantly, like, of course, I should realize that a grown man with a beard was only 8 years old when these commercials came out, and couldn’t have possibly been watching games. 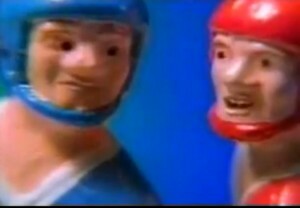 If the stupid Bud Light Bubble Boys hockey commercials are too old a pop culture reference to use in mixed company, then why would I ever want to talk to people again? Now I know how Radio Robert, the Old Timer felt. All this was amplified by the fact that that the “Murph, you are exactly three inches tall” spot is the only Bubble Boys commercial not on YouTube. It only exacerbates this feeling of disconnection with “today’s youth” that to show this guy what I’m talking about, I have to go to my VHS tapes. Unless, of course, I’m just a doddering old man, and completely made up the whole thing in my head. Which is possible. Please tell me you remember “Murph, you are exactly three inches tall.” Please?